Finding a winning horse is not simple by any means. You may have an idea that handicappers spend hours pouring over charts and past performances, and some of them do. But the fan of EZ Horse Betting should take heart. There are some simple methods of picking winners which can yield big rewards. Here are a few angles that you can use profitably in a variety of situations. 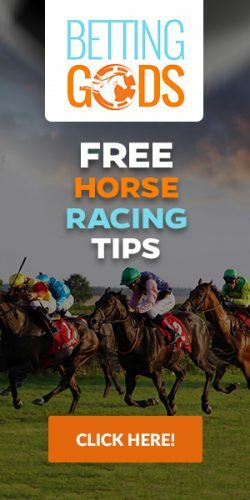 This EZ Horse Betting method involves identifying the horse with the top speed figure in a race and making a bet on that horse to win. There are some drawbacks to this angle. First, it is much more effective when one horse has demonstrated an ability far and away greater than its competitors. If a horse has a recent speed figure that is ten points higher or greater than that of its closest competitor, the horse may be a good bet. Unfortunately, all races are not so clearly defined. There may be three or more horses within three or four points of each other’s speed figures. The other downside is that when one horse has a dominant speed figure, this is very easy to identify. The betting public will likely recognize this and drive the odds down on this horse. You would be better off in this situation making an attempt to “beat” the short-priced favorite with a longshot that you like. If a horse has regularly been establishing the lead in races longer than seven furlongs but fading in the final strides, this horse may need to race at a shorter distance. Look for horses cutting back to distances of less than seven furlongs and evaluate how well they have done in longer races. You’ll want to look for horses that make the lead easily in route races. The logic behind this angle is that a horse may have plenty of early speed but simply lack the stamina to run long distances. Sometimes these horses which are “cutting back” in distance can merit a bet to win. Each horse has a specific running style. Some horses make the lead, some prefer to run from just off the pace, and some prefer to trail the pack and close in the stretch. The front-runner is a horse that likes to go right to the lead from the starting gate. Most races will have a mixture of all styles, but sometimes you will find a race that has a lone front-runner. While this horse may not be the most talented or even the fastest in the field, if it is allowed to run uncontested on the lead the other horses might not be able to run it down. It has been theorized that a horse in the situation becomes brave and develops a large heart. Its speed holds and it goes on to win. This angle is even more effective when the horse in question is racing on the rail. To race on the rail means to be breaking from the 1, 2, or 3 post position. A horse with sharp early speed will be able to break from these positions and immediately create a ground-saving pathway to victory. Racing on the rail is the shortest path around the track. To race wide is to lose ground and end up running farther. Sometimes the best way to pick a winner in a race is to identify which horses are likely to lose and eliminate them from consideration. One of the easiest horses to eliminate is the career maiden. This is a horse that has failed to win a race despite multiple tries. A famous example of this type of horse is Zippy Chippy who retired after a long career without a win. Career maidens are dangerous to the handicapper. They can be seductive. They will tease you by running seconds and thirds but always fail to come up short. It is hard to believe that these horses still receive a fair number of bets to win even though they have proven winning is not likely. If the regular rider of a horse has been replaced with a jockey that has a higher winning percentage, this can be telling. This is especially true if the horse has been finishing second or third with the regular jockey. The trainer may feel that this jockey simply does not have the ability to finish and demand the horse’s best strides in the final stages of a race. Use this angle with care. Perhaps the regular jockey has been injured and cannot ride that day. Maybe the regular jockey is riding another horse in the same race! This can be because the jockey’s agent made an error and booked the wrong horse or it can be because the jockey thinks the new horse has a better chance to win. These simple methods of betting work sometimes. It is always better when you can find additional reasons to support the horse. If the horse is racing at the wrong class level or is a career maiden, none of these things might help. But, if you watch a lot of races you will be better equipped to recognize these unique situations. When you create an account with one of our recommended online racebooks, you will have access to a vast library of race replays. You’ll also receive a welcome bonus and free past performances to help you handicap. Signing up is easy and requires only a few minutes, and players from the U.S. are always welcome.